The Honorable Tina W. Jonas is an executive with a distinguished career. Jonas served at the highest levels in both the government and commercial sectors and is a recognized expert in military, defense and aerospace issues. Jonas currently serves on several boards including the Aerospace Corporation, which provides space launch and mission assurance services to the U.S. Air Force and U.S. intelligence community. Additionally, Jonas serves on the board of Lasermax, a company that provides laser products and technology in the commercial and defense markets. She previously served on the board of EADS, North America (now Airbus Group). She serves as a Trustee for the National Defense Industrial Association (NDIA) and is a newly elected member of the board of the National Military Family Association (NMFA). Ms. Jonas most recently served as a chief executive with UnitedHealthcare, part of UnitedHealth Group (UHG), a Fortune 14 company. As President of UnitedHealthcare, Military and Veterans (UMV), she led and was responsible for one of four UHC businesses. UMV provides healthcare to 2.9 million Tricare beneficiaries and manages a $21 billion contract for the Tricare West Region. 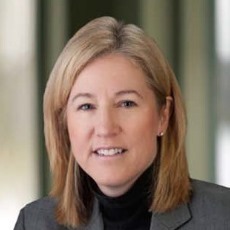 Ms. Jonas previously served as President of Logistics Health Incorporated (LHI) and as a Senior Vice President of Optum Health, also part of UnitedHealth Group. As President of LHI, she was responsible for operations and a portfolio of business of over $200 million. LHI provides health services to commercial industry and to the U.S. military and veteran population. Prior to joining UHG, Ms. Jonas held executive positions in the Aerospace and Defense industry from 2008 to 2012. From 2010 to 2012 she served as Executive Vice President, Operations for PASSUR Aerospace, a business intelligence and aviation company based in Stamford, Connecticut. From 2008 to 2010 Jonas served as an operations executive with United Technologies, a Fortune 45 engineering and manufacturing company. As Director of Operations for Sikorsky Aircraft, she developed operations strategy and served as a member of the corporate strategic planning group. She led and managed operations teams responsible for global production, supply chain, and facilities. Jonas was responsible for integrated operations management and performance for a $500M global aftermarket business. Prior to her corporate experience, Ms. Jonas served in the federal government for over twenty years culminating in her service as Undersecretary of Defense/Comptroller and Chief Financial Officer for the Department of Defense (DOD) from 2004 to 2008. Her government career also included service as Assistant Director and Chief Financial Officer for the Federal Bureau of Investigation, Deputy Undersecretary of Defense for Financial Management, as well as senior positions with the Office of Management and Budget (OMB) and the House Appropriations Defense Subcommittee. She is a recipient of numerous awards, including the Department of Defense Medal for Distinguished Public Service (Bronze Palm), Chairman of the Joint Chiefs of Staff Joint Distinguished Civilian Service Award, the Department of the Navy Distinguished Public Service Award, the Army Distinguished Civilian Service Award and the Coast Guard Distinguished Public Service Award as well as the DOD Inspector General’s Award for Excellence. She is a frequent public speaker and has appeared on CNN and in leading national publications such as the New York Times and the Washington Post. She holds several awards, including the Silver Anvil for Public Communications, the Department of Defense Medal for Distinguished Public Service, and accolades from the Joint Chiefs of Staff, the Army, the Navy, and the Coast Guard. Her executive education includes studies at Harvard University, Kennedy School of Government and the University of Virginia, Darden School of Business. Ms. Jonas holds a Master’s degree in Liberal Studies from Georgetown University, and a Bachelor of Arts in Political Science from Arizona State University.